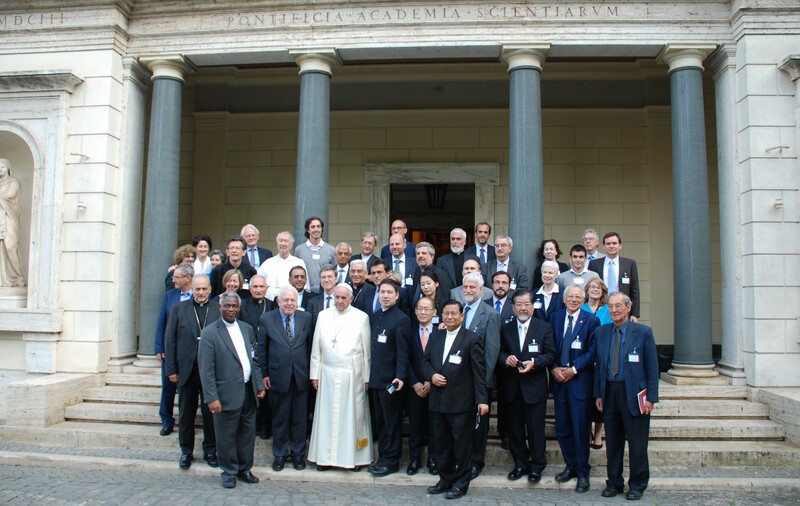 The Global Catholic Climate Movement, represented by its global coordinator Tomás Insua, was delighted to participate in the seminar “Laudato Si’ and the Path to COP22” with the presence of the Holy Father Pope Francis. 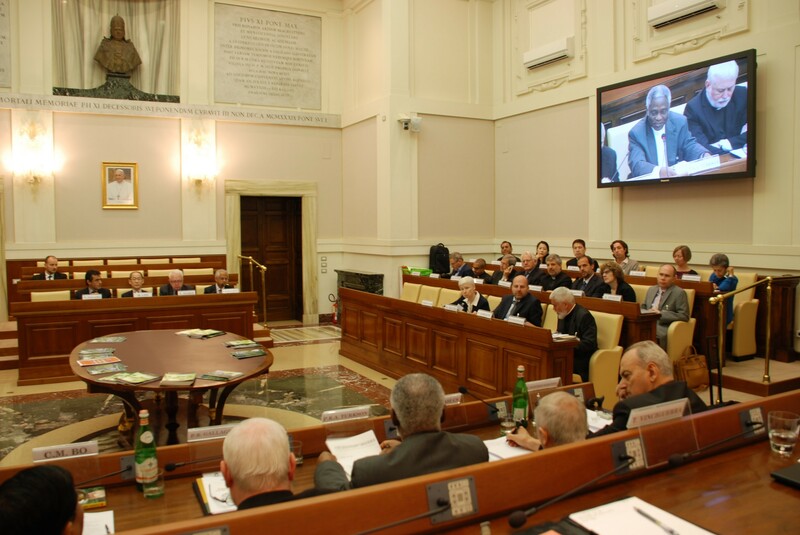 Convened by Cardinal Turkson and Bishop Sánchez Sorondo at the Pontifical Academy of Sciences, the full day seminar brought together over 40 distinguished scholars and leaders from various sectors to evaluate the impact of Laudato Si’ and its implications for the upcoming COP22 climate summit of the U.N. in Morocco. One of the main conclusions was that the urgency of the climate crisis is dramatic, and that Laudato Si’ provides a solid foundation to pursue the drastic changes that are need to end the fossil fuel era and redefine our notion of progress. 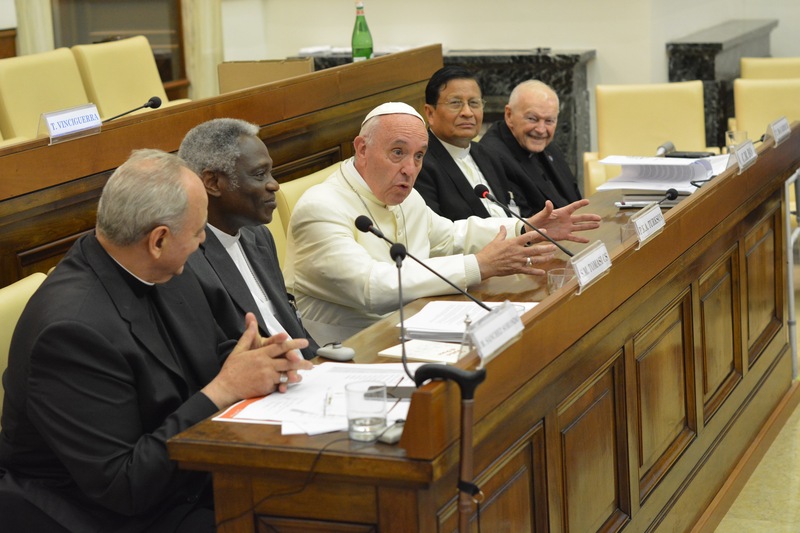 The Holy Father Pope Francis closed the seminar with some encouraging remarks in which he thanked the participants for their commitment to care for our common home and urged them to step up the level of ambition keeping in mind the future of our children. 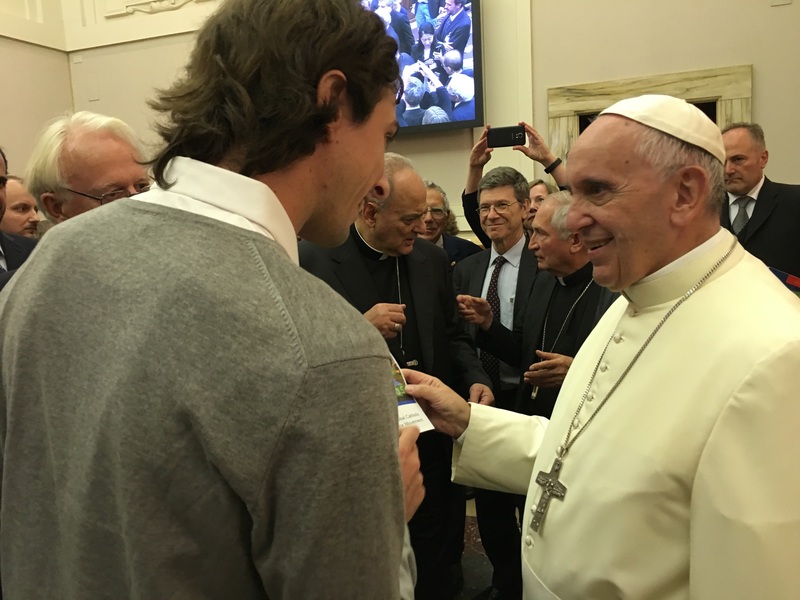 Tomás Insua had the opportunity to deliver a GCCM brochure to Pope Francis with the latest updates of our movement’s work, and informed him about the Season of Creation that we are currently celebrating together with our ecumenical partners. 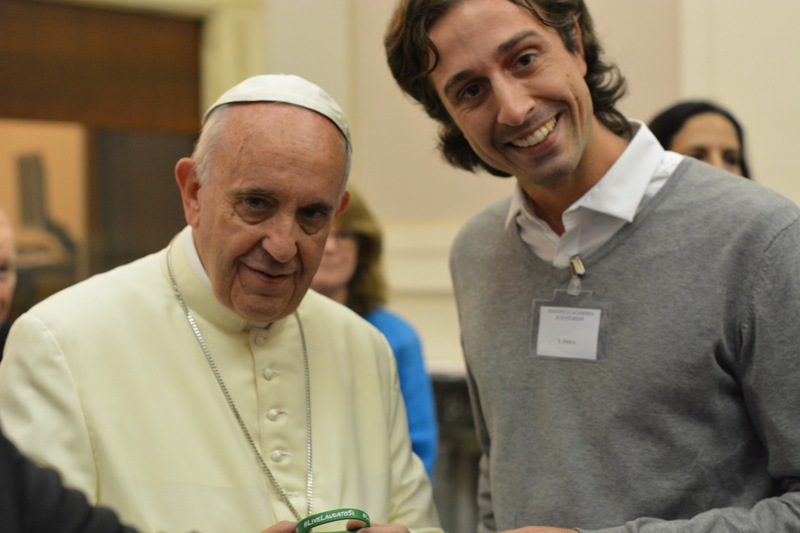 The Holy Father thanked our movement for the efforts pursued to bring Laudato Si’ to life, and posed for a picture with the #LiveLaudatoSi wristband that GCCM produced for the recent World Youth Day in Krakow. How beautiful would it be to leave the world a better place than the way we found it. Seminar participants included distinguished scholars as Prof. Jeffrey Sachs (Columbia University), Dr. Hoesung Lee (IPCC) and Stefano Zamagni (Università di Bologna), voices from the Global South as Cardinal Charles Bo (Myanmar) and Fr. Pedro Walpole (Philippines), and many friends and close partners of GCCM such as Bernd Nilles (CIDSE), Lorna Gold (Trócaire), Sr. Sheila Kinsey (USG/UISG), Andrea Stocchiero (FOCSIV), Fr. Seán McDonagh SSC and Anthony Annett (Religions for Peace). See Program and Participants. Insightful conversations about Laudato Si’ and COP22 took place throughout the day, building on top of the papers that were submitted by participants on occasion of the seminar. Tomás Insua submitted a paper entitled “Bringing Laudato Si’ to Life: The Journey to Tackle the Climate Crisis“, focusing on those aspects of Laudato Si’ that seem most relevant to the Catholic Church’s engagement in the COP22 summit and beyond. Seminar participants concluded by releasing a final statement with a strong call to action to COP22 negotiators: “We urge all the signatories of the Paris Agreement to move forward together with determination, urgency, shared values and a common global plan”.